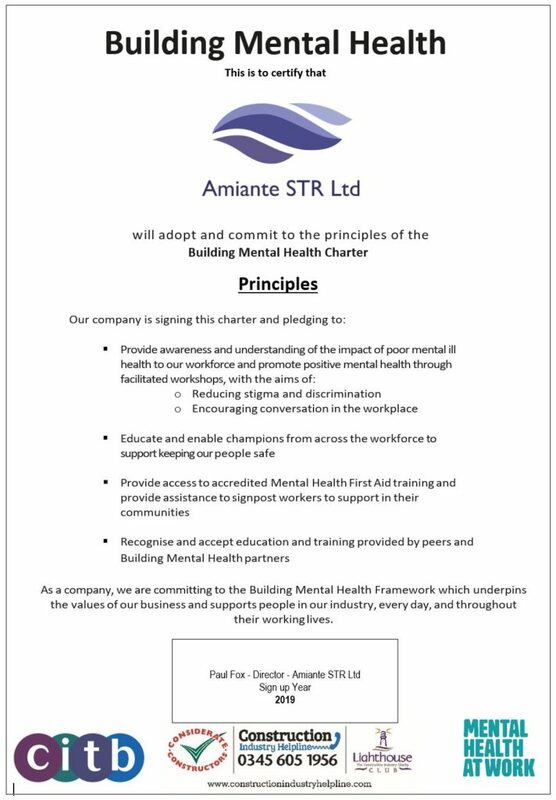 Amiante STR are proud to have become a signatory to the Building Mental Health Charter. 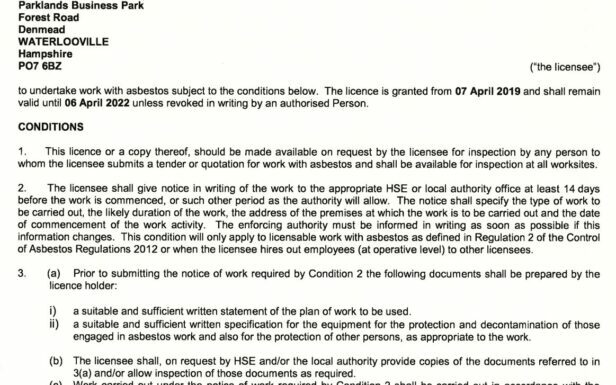 This is a freely available framework for the UK construction sector to try and help tackle the horrendous mental health crisis in construction in this country. With men in the construction sector being three times more likely to commit suicide than men on average, and with suicide accounting for the lives of more people in the industry than falls from height, it is time for the industry to come together and do more to tackle this issue. Please support this initiative if you are able.